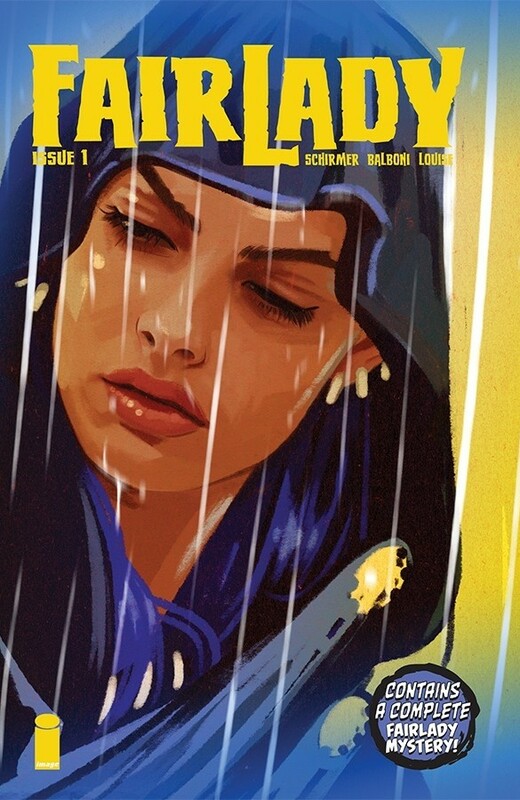 THIS REVIEW OF ‘FAIRLADY’ #1 CONTAINS MINOR SPOILERS. by Brendan Hodgdon. It seems the dawn of the 21st century ushered in a grand new era of comic book decompression, considering how often creators go for splash-page spectacle as much as possible. The result has sometimes maligned the form; it gives readers less storytelling bang for their buck and making comics less accessible in the process. In the intervening years, various creators have made an effort to reverse this trend and return comics to one-and-done stories that anyone could pick up and read at any time and still feel like they got the full tale. But how to reconcile condensed storytelling with the modern trends in layouts and art styles that seem to rely on decompression? This is the perpetual conundrum that faces the latest challenger: Fairlady, the likable new caper from Brian Schirmer, Claudia Balboni, Marissa Louise and Dave Bowman. 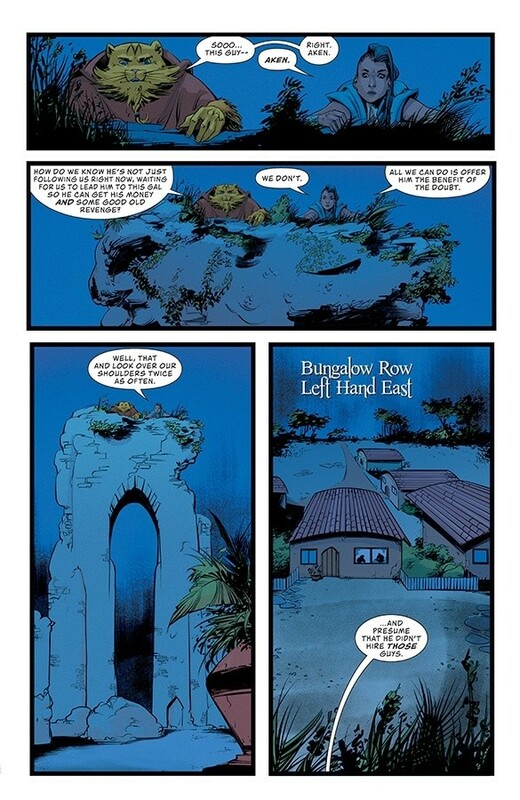 One remarkable aspect of Fairlady #1 is how much it doesn’t say, as much as what it does. Schirmer’s script studiously avoids over-explaining anything in terms of backstory, letting the art and dialogue prompt questions that are left to hang, teasingly, over the procedural goings-on that drive the plot. There’s lingering pain and uncertainty after a great war from the recent past, apparent racism against its humanoid cat character, and suggested class inequality and exploitation hangs thick in the atmosphere, giving the affair a lived-in feel without wasting precious page space on tortured, Tolkien-esque exposition. This successful attempt at “show, don’t tell” continues through to the tone and theme of the issue as well. On the surface, Schirmer’s writing and Balboni’s art give the book a very wry, up-tempo energy; there are quips and punchy attitude galore in the dialogue, and the art is often used to emphasize this irreverent approach. But lurking underneath it, marked through much of the issue by the narration, is a clear sense of pain, suffering, and loss. It prevents the rest of the story from veering towards farce, and leads to a compassionate denouement that speaks volumes about the type of characters that protagonists Jenner & Oanu are without laying it on too thick. World-building and low-key thematics are delivered to the reader through a sly mash-up of noir mystery and high fantasy derring-do. It’s an unexpected combination to be sure, but it’s certainly not unwelcome. Schirmer’s script uses the tropes of urban tough guy pulp storytelling to examine his world from the bottom up, eschewing the broader good-versus-evil in favor of hardscrabble, street-level survival. This means that many elements of the world, on both a macro and micro level, could (and likely will) be explored in future issues. Then again, it might almost be better if such elements were left for speculation alone. Time will tell. Of course, to accomplish all of this in a single issue, the art is going to have to do a lot of heavy lifting. Balboni’s style is a flexible one, allowing her to cover the full gamut of tones that the script demands and keep the staging lively with clever visual storytelling choices. There is a particular double-page splash panel of Jenner examining a crime scene that, between Balboni’s careful design and Schirmer’s knowing captions, recalls the likes of Fraction/Aja’s Hawkeye to great effect. Balboni nails every kinetic action beat and every deadpan comedic moment while offering up lovely fantasy designs that make Fairlady‘s world of The Feld really stand out. 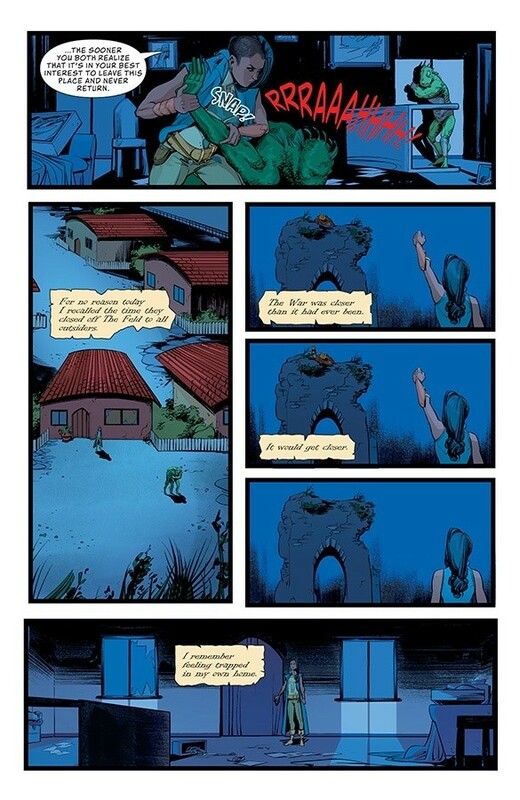 Louise’s colors and Bowman’s letters blend seamlessly with Balboni’s linework and amplify the tonal beats of the script. Louise avoids the dour, desaturated colors one expects from epic fantasy post-Game of Thrones, instead going for a brighter and far more eye-catching palette. Yet that doesn’t prevent her from using darker shades to emphasize the heaviest moments of the story; rather, it makes those moments more resonant by contrast. And Bowman does what any good letterer does, by ensuring that the many disparate voices in the story look as distinct as they sound. 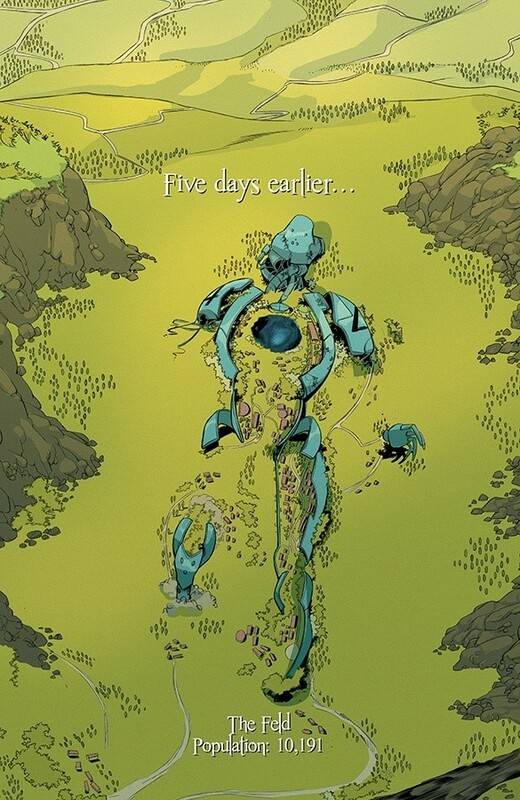 The cumulative effect of all this is a debut issue that, on a technical level, accomplishes so much so well. In many ways it represents the platonic ideal of a modern one-and-done comic. That Schirmer, Balboni et al. achieve this while also constructing a fresh and engaging fantasy tale marks them all as premiere talents to watch. 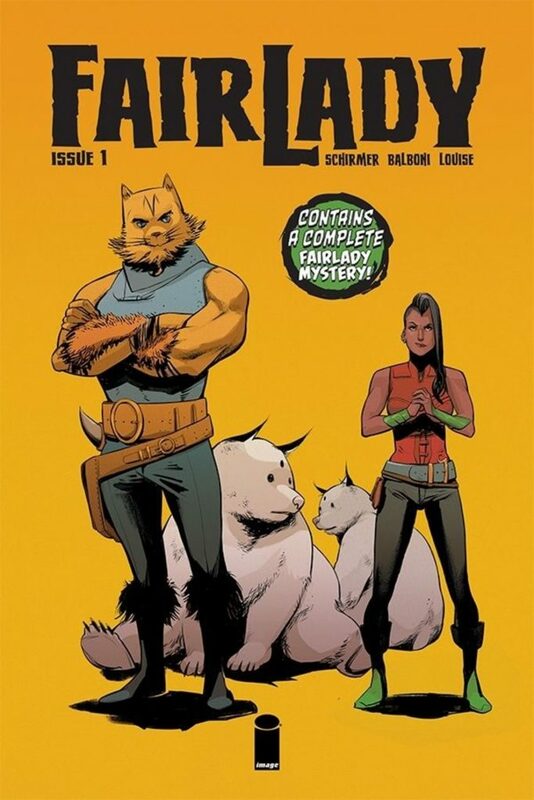 It also makes Fairlady #1 one of the most satisfying debut issues you’ll read this year. Letters & Design by Dave Bowman. 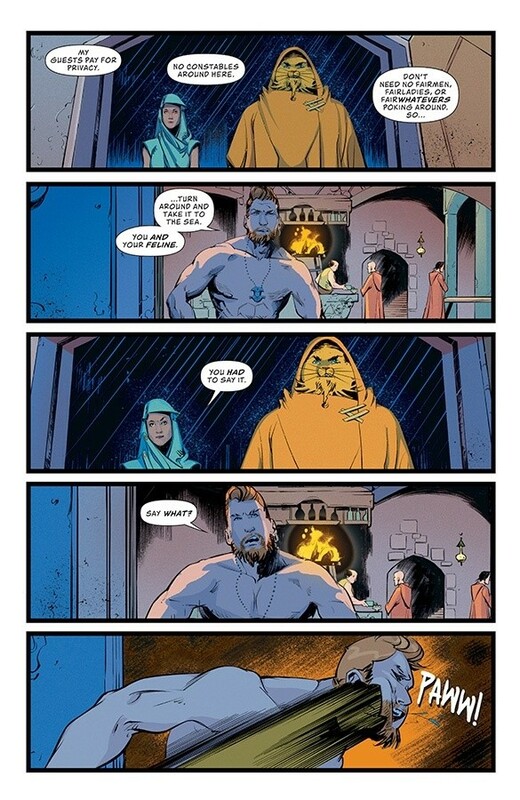 Check out this 5-page preview of ‘Fairlady’ #1, courtesy of Image Comics!